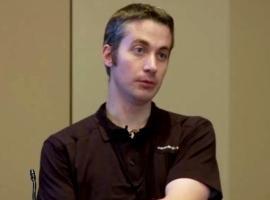 Clint Checketts discusses the concerns to consider when rolling out a config server around security, encryption, and location of repositories, and Config Server's extensibility. 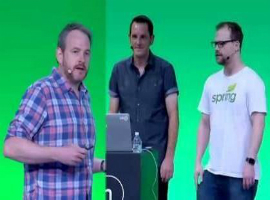 A keynote on the "circle of code" which represents the journey from idea to implementation to deployment and back to more ideas, and a demo of the latest features in Spring Boot 1.4. Tom Czarniecki overviews what's needed to consider when choosing DevOps tools for each stage in an application's lifecycle, as well as a small example of the tools. 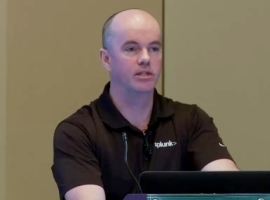 Ryan Gardner focuses on how Dealer.com leveraged the powerful attributes of both Apache ZooKeeper and Spring to rid their application of local configuration files. 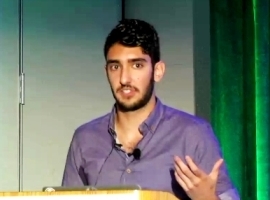 Armon Dadgar presents Consul, a distributed control plane for the datacenter. Armon demonstrates how Consul can be used to build, configure, monitor, and orchestrate distributed systems. Colin Humphreys discusses PaaS: why they chose a certain PaaS solution for their customers, PaaS in ALM, lessons learned from their experiences and what to expect from different PaaS vendors.